DSC (DIGITAL SELECTIVE CALLING) Compliant with the latest specifications for Class-D VHF Radios. 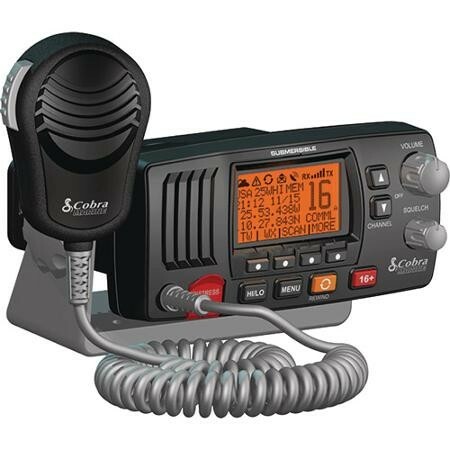 Digital Selective Calling allows you to send a distress signal at the touch of a button or exchange position information with other boats or stations. 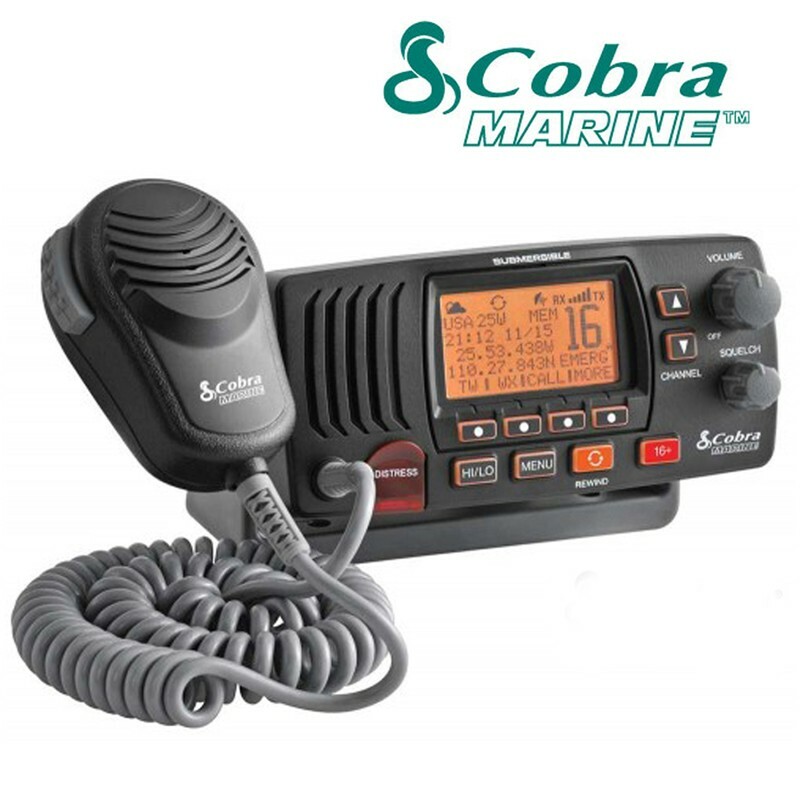 DSC features on this Class-D radio include; A Dedicated Channel 70 (DSC Channel) Receiver, GPS Position Display Capability, Illuminated Distress Button, Easy MMSI Entry, Position Send and Request, Position Input Reminder, Coast Guard DSC Check Capability, etc. 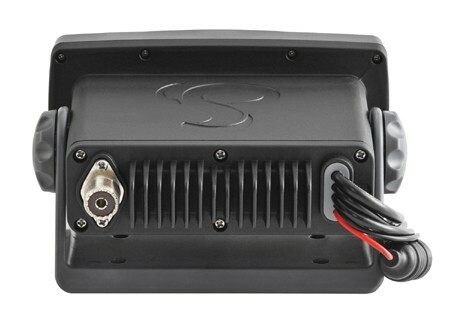 1 OR 25 WATTS Dual output power for short and long communication. International, U.S.A. & Canada Channels Allows operation on any of the three (3) different channel maps established for these areas. REWIND-SAY-AGAIN Replay missed calls. Automatically records the last 20 seconds of incoming radio transmissions. Handy when in noisy conditions. 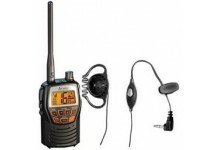 RADIO CHECK Checks battery voltage when transmitting, RF power output, and antenna output. INSTANT CHANNEL 16 Instant access to channel 16 for emergency situations. 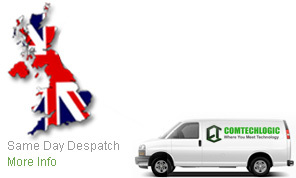 GPS CAPABILITY Plug-and-Play using the new C.P.S. 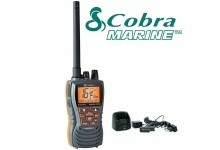 (Cobra Positioning Systems) external GPS. No other connections required. You can send your position information in case of emergency, or exchange position information with other boats. DUAL WATCH Monitors two (2) channels at once - Channel 16 and one (1) user selected channel. SCAN / MEMORY SCAN Scan all channels to find conversations in progress, or scan channels placed into memory. CHANNEL NAMES Friendly VHF channel names under the channel number. SIGNAL STRENGTH METER Shows the strength of incoming signal. ILLUMINATED KEYS Allows high visibility of keys. ILLUMINATED LCD DISPLAY: Large Allows high visibility of display. 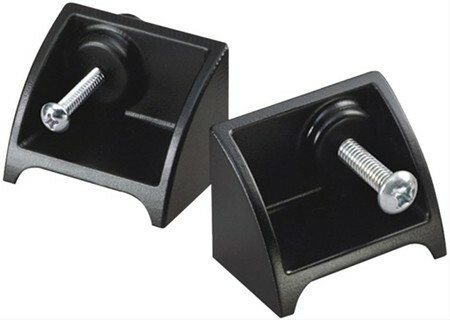 NOISE CANCELLING MICROPHONE Blocks background noise. External Speaker and PA Speaker Connect an external speaker and a PA (Public Address) speaker. NMEA IN AND OUT NMEA in for GPS input. 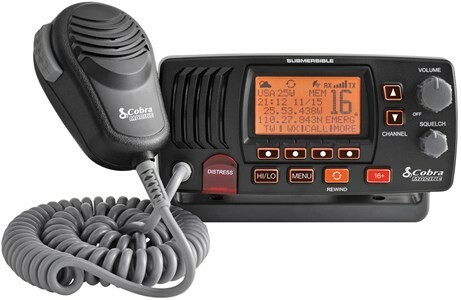 NMEA output to display other vessels and their information transmitted by DSC on your chart plotter. SUBMERSIBLE Meets JIS8/IPX8 standards; Submersible for 30 minutes in 1.5 meter deep water. 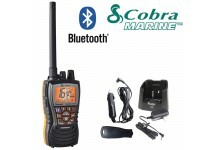 EXTERNAL ALARM INPUT Senses the alarm from your chart plotter and uses the speaker on the radio to amplify the alarm for way point arrival, MOB, etc. ATIS Capable of operating within the Automatic Transponder Identification System. ATIS includes data at the end of a transmission for station identification. GPS Interface Cable Allows connection of a GPS receiver or NMEA 0183 devices.